Zone Martial Arts teaches physical defense, mental strength, and life lessons in a family-friendly, safe environment. At Zone Martial Arts, we teach a combination of Tae Kwon Do, American Boxing, Jui Jitsu, and Krav Maga, but focus on more than martial arts technique and physical defense. Our instructors, led by world champion Tae Kwon Do master, Erik Ekholm, teach old and young how to protect themselves and be confident in an uncertain world. At Zone Martial Arts, we teach life lessons — goal setting, respect, and above all, self defense and the confidence to stand up for yourself. 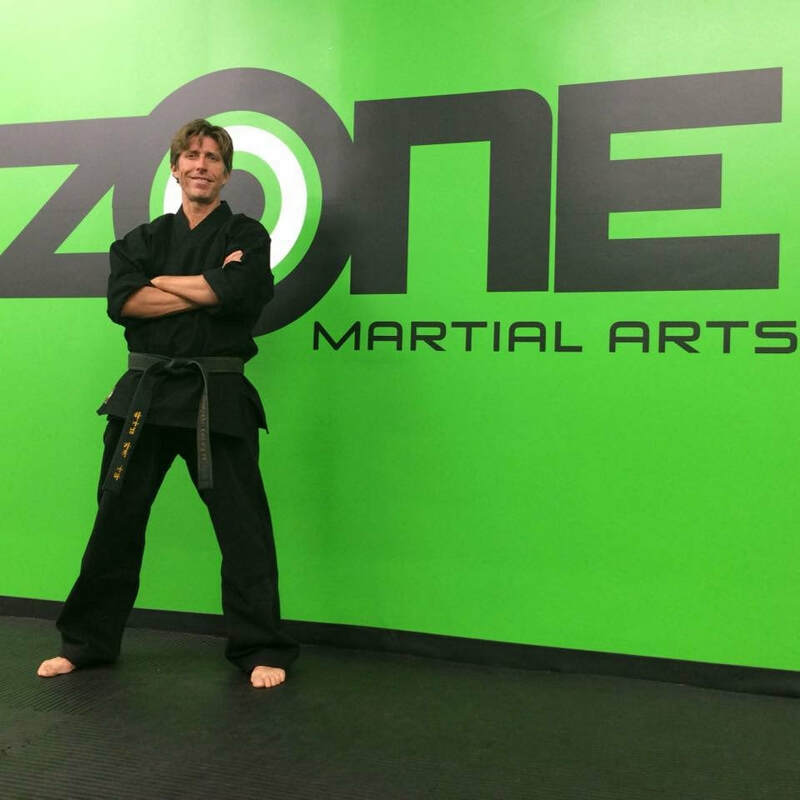 Zone Martial Arts goes beyond martial arts forms and tournaments. We help our students to strengthen their mental, emotional, and physical fitness. We teach our students the lessons that will protect their mind, body, and spirit — today, and tomorrow. We teach a combination of Tae Kwon Do, American Boxing, Jui Jitsu, and Krav Maga. Zone Martial Arts teaches Tae Kwon Do for overall defense, with an emphasis on kicking attacks and defense. We add American Boxing for upper body strength, close-in standing defense, and Jui Jitsu for prone defense and grappling. Finally, for grappling and street fighting skills, Master Erik Ekholm (U.S. Army, Veteran) teaches Krav Maga, a military self-defense developed in Israel that combines all these disciplines with realistic fight training to keep our students safe in any situation. This unique approach to martial arts was developed by Master Erik Ekholm, a 6th degree Black Belt in taekwondo with many years of military training and certification in Krav Maga , Brazilian jiu-jitsu, Kickboxing, and American Boxing. Master Ekholm’s martial arts training started in 1977 in Jacksonville, Florida at the age of 12. He was immediately hooked; the structure and discipline, which was taught in a fun and challenging manner, developed his deep passion for the martial arts. Among his many accolades, in 1982, Master Ekholm won the U.S Open and the Battle of Atlanta in the Men’s super-lightweight division. In 1989, he took the Gold Medal at the National Collegiate Championships in Olympic Taekwondo. In 1994, Master Ekhom won the World Championship. While serving in the U.S. Army at Fort Ord, California, Master Ekholm furthered his skills in hand-to-hand combat, learning Krav Maga and other disciplines that later became the building blocks of his first school in San Jose, California. After establishing three martial arts schools in California, Master Ekholm transitioned leadership to his brother and business partners. He married his wife, Melanie, and moved back to Jacksonville, establishing Zone Martial Arts here in Duval County. During his 40 years learning and teaching mixed martial arts, Master Ekholm has helped thousands of students reach their martial art and fitness goals. His passion is helping people benefit from the martial arts while learning life skills and character traits to enrich their lives. He is passionate about teaching kids and adults, and is ready to help you reach your goal……ARE YOU READY? Erik and Melanie have been happily married for 18 years. Melanie is a 2nd degree black belt and homeschool mom. Logan is in the United States Marines, a 1st degree black belt, and enjoys playing lacrosse and guitar. Skout is in high school at Providence, plays baseball, and is a black belt. 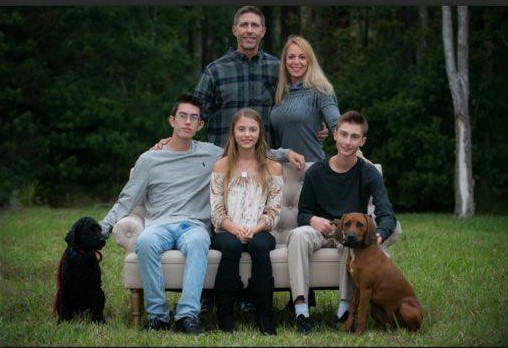 Victoria is homeschooled and attends Providence Extension Program (PEP), is a diver at Atlantic Coast Diving, and is also a 2nd degree black belt. We are members at Chets Creek Church. Hank the Hound Dog is the newest member of our animal family, and Rexi is our Rotteweiler…I mean Labradoodle! Oreo is our Tuxedo Cat, who only likes Victoria, and 15 chickens call our yard home.